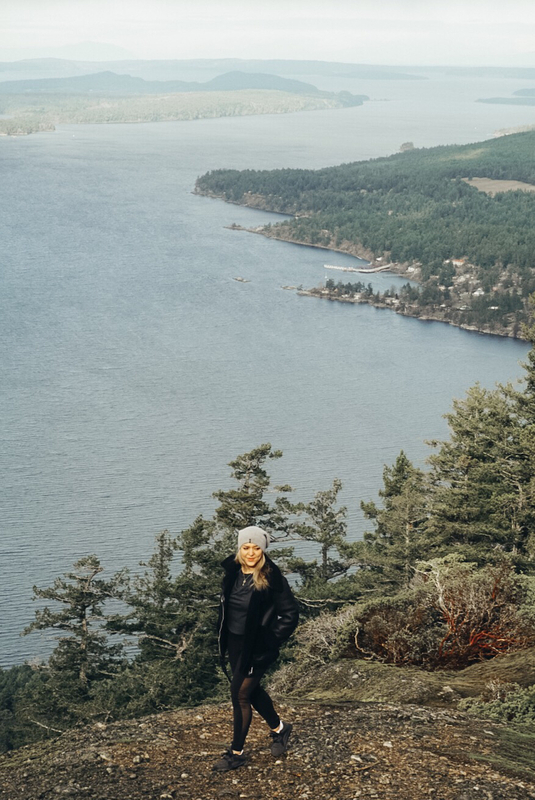 I have been a Vancouver local on and off for almost eight years, so it is a little bit embarrassing that I have never explored any of the Gulf Islands. It is not due to lack of interest, but for some reason, I felt that they were difficult to get to. Fast forward to a couple weeks ago, when Tyson and I headed there for our six year anniversary. Tyson planned the trip, and by planned, I mean that he purchased a trip through BC Ferries Vacations. They basically take care of the ferry reservation and then set you up with a hotel, a pretty painless experience. I highly recommend it. We left early on Friday afternoon and returned home on Sunday afternoon, witnessing beautiful sunset on each leg of our journey. I thought that the Island was only accessible by ferry but you can actually fly in via a float plane leaving from the Vancouver Harbour. The one thing to take into account is once you are on Salt Spring Island you definitely need a vehicle to get around. The buses are not very frequent and if you were to bike the island is quite hilly and spread out. The journey on the ferry is pretty relaxing with scenic views and it is only a three hour ferry ride. If you were planning to go with a group of people I think an Airbnb would be a good option. Since it was just the two of us, we stayed at Harbour House Hotel. The hotel is very clean and has a view of the water, it also includes a hot breakfast. The one thing I thought it was missing was a hot tub and a pool but you can’t have it all. There are two main hikes to do on Salt Spring Island, Mount Erskine and Mount Maxwell. Initially when I planned out the weekend, I thought we would have time to do both hikes, but it rained while we were there, so we decided to only did Mount Erskine. 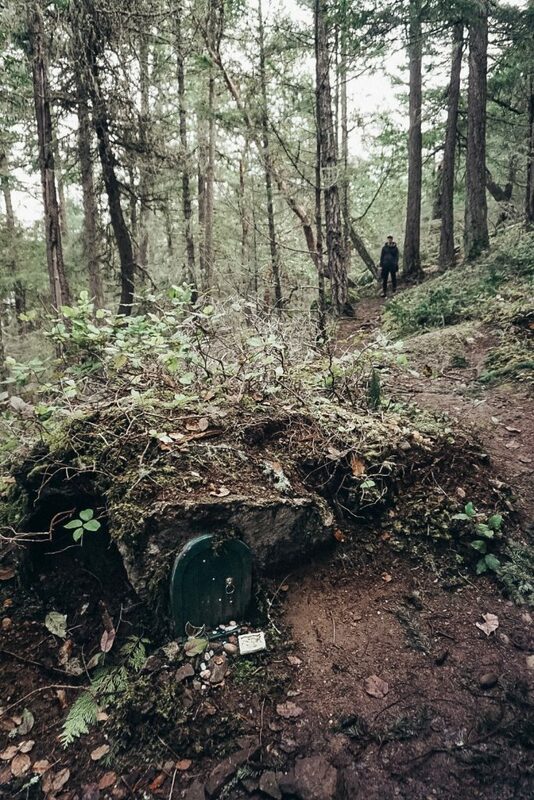 There is a panoramic view from the lookout point and there is supposed to be three or four fairy doors along the path, unfortunately we were only able to found one. I convinced Tyson to go on a makeshift food and drink tour with me. 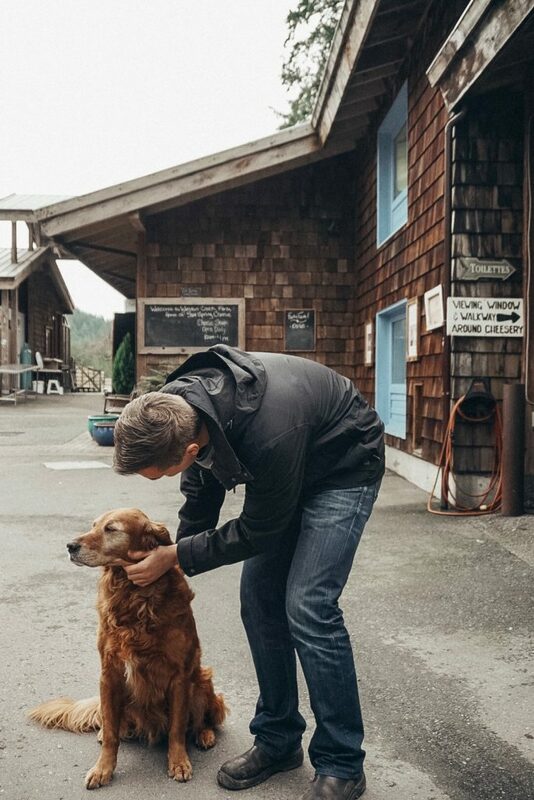 We started at the Salt Spring Island Cheese where we were greeted by four lovely golden retrievers. The property has bunnies, chickens and goats and then you can pop into the gift shop to sample the different goat cheeses. The truffle was the show stopper in our eyes. We ended up leaving with more than cheese, we also picked out a few soaps. Our next stop was a craft beer tasting at Salt Spring Island Ales, an local organic brewery. The tasting room is pretty cozy but luckily there is a nice outdoor area with picnic tables lit with strings of Edison lights. I really enjoyed the Heather Ale but my beer tasting pallet is not very refined, I shy away from IPAs and tend to stick to wheat beers and any beer that mentions fruit not the label. 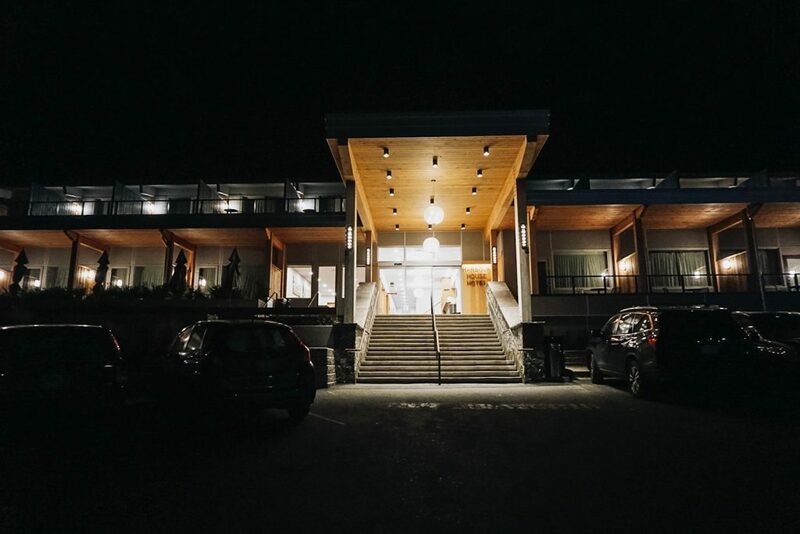 We decided the skip the wineries, but Salt Spring Vineyard and Tasting Room is close by and looks very instaworthy based on the pictures I have seen. 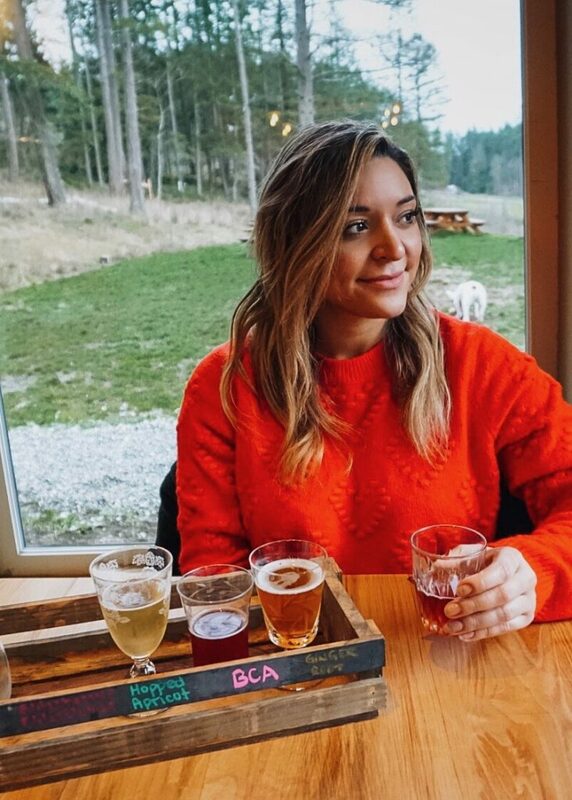 We continued our food and beverage tour at Salt Spring Wild Cider. I opted for the Seasonal tasting flight. If there is two of you it makes sense to try both flights, the traditional and a specialty one. I really enjoyed the Bitter Orange Rosemary and the Elderberry/Flower of the ones that I tasted. I really liked this spot, it reminded me of most craft breweries in Vancouver but in a much more scenic setting. It is also a good stop to grab a bite, they have a tapas menu and lots few seating options compared to the other stops. 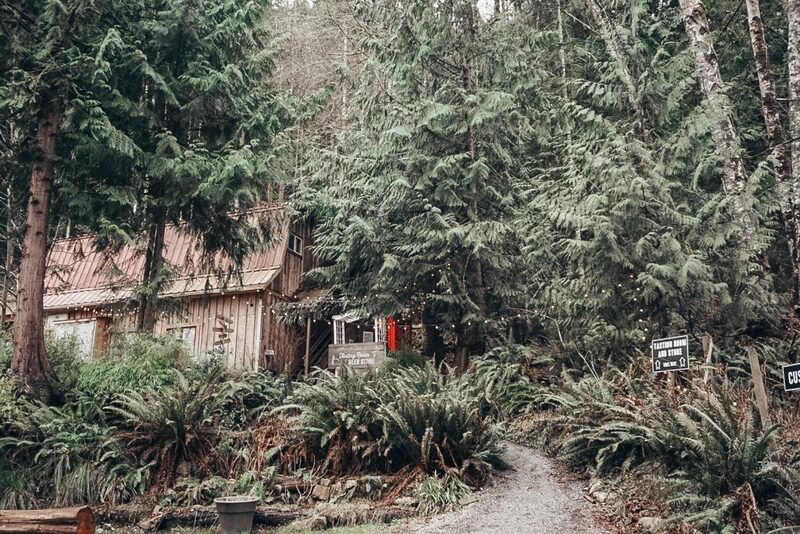 After a day of beer tasting and hiking, we decided to spend our final day in Salt Spring Island at Salty Pear, home of a Japanese style sauna. 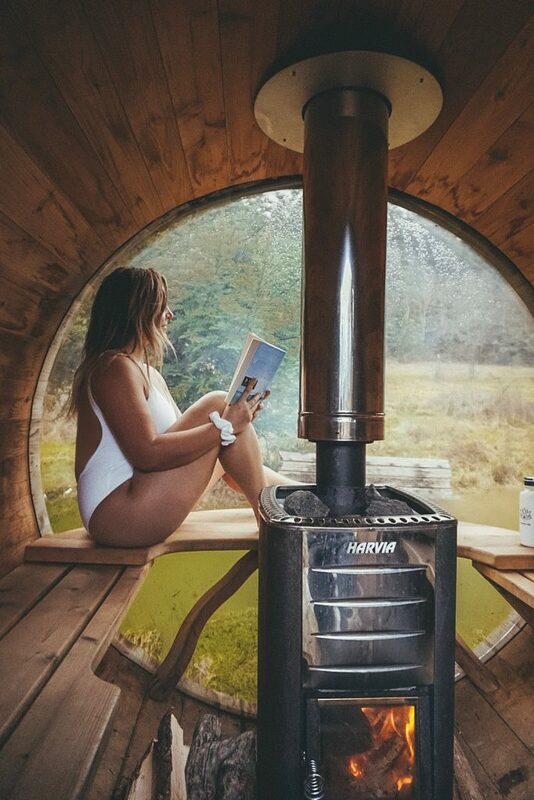 The sauna must be booked in advance online, it fits four, and it is self serve. The experience, although enjoyable,is very rustic. 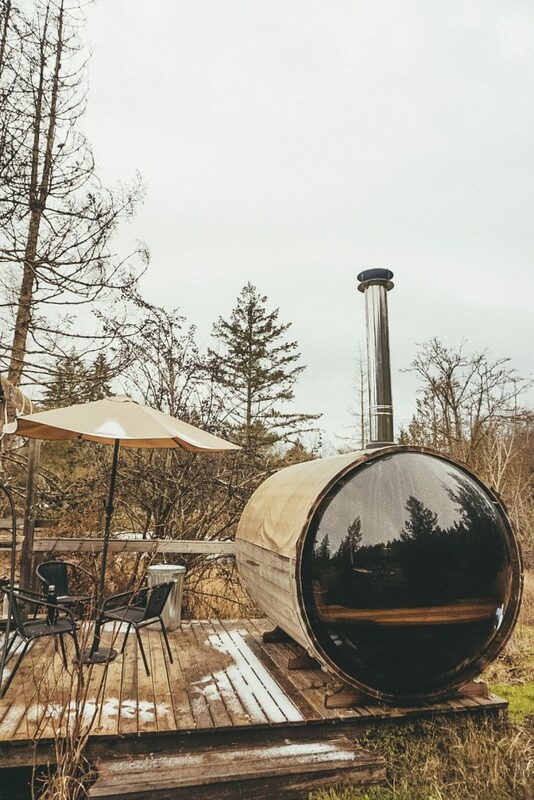 The owners provide firewood and matches to heat up the sauna and it takes about thirty minutes to get the temperature up. There is no shower area post sauna so just be prepared for that. The price is right though it is $20 per slot per party and I felt it was a very unique experience. Any time I plan a trip, I try to map out places to eat. Despite my best efforts, a few places I wanted to visit were closed for the season and did not have phone numbers or updated websites online. There were two spots on the Sunshine Coast that really stood out. Tree House Cafe ended up being one of the highlights of our trip, it looks like it came right out for a fairytale; not the mention the fact that is is actually built around a tree which adds to its farm to table charm. Tyson actually forced us to go back so he could have the beef brisket sandwich for a second time. 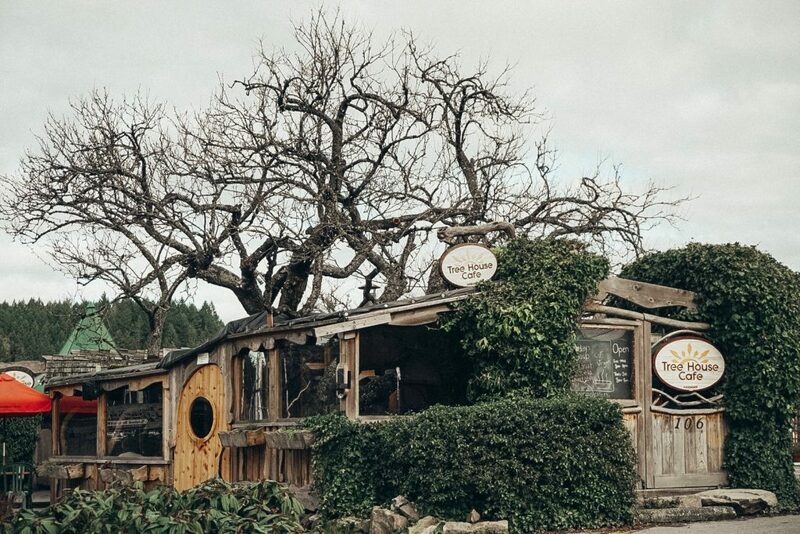 They have delicious homemade soups, sandwiches, salads and the local Salt Spring Coffee. Auntie Pestos was recommended to use by our hotel. Tyson had the Duck Confit and I had the Seafood Dill Alfredo. Tyson’s meal was good but my Seafood Dill Alfredo was amazing, I highly recommend it. 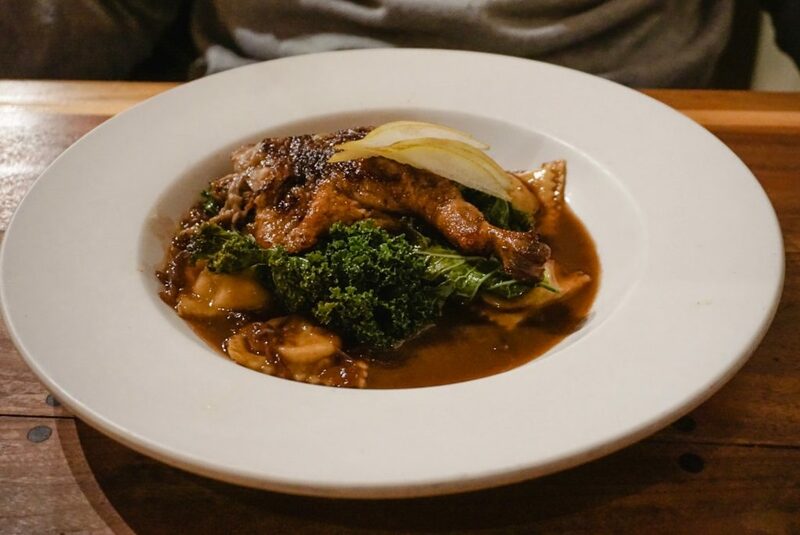 The restaurant has attentive service and a good atmosphere so it is the perfect spot for a date night. We thoroughly enjoyed our weekend away. Salt Spring Island has a nice slow paced hippy vibe to it. I find it is always a nice treat to recharge and escape the hustle and bustle of Vancouver. 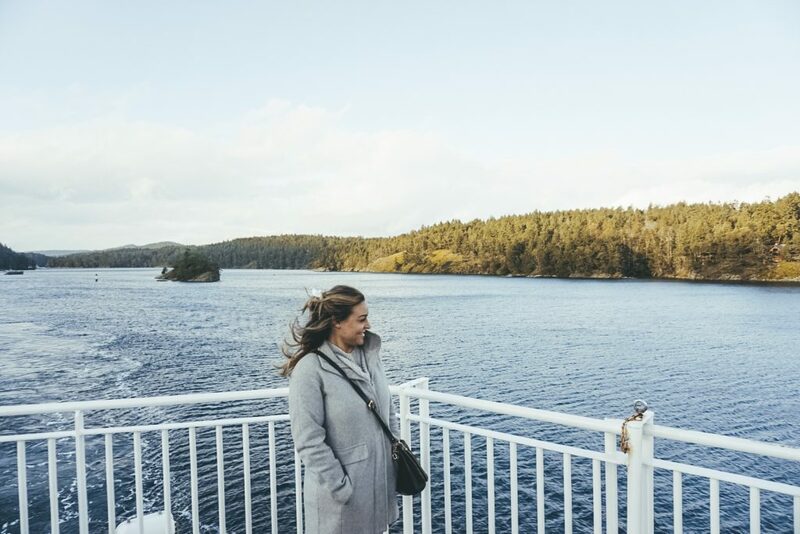 We are used to doing the drive to Kelowna for our weekends away, so a ferry ride is a nice change of pace. I look forward to exploring more of the Gulf Islands, especially once summer rolls around. 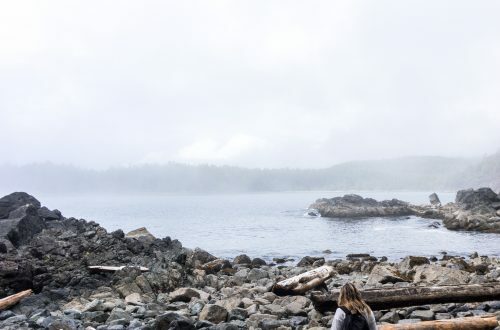 I wrote a similar post on my visit to Tofino, another fun spot for a weekend getaway. Let me know if I missed any of the your favourite attractions on Salt Spring Island. I would love to check them out when I go back.